Winery: AZIENDA AGRICOLA MICHELE MOSCHIONI & C.
The color is straw yellow with light green reflections. The aroma is full and fruity, reminiscent of pineapple, mango, ripe yellow peach, slowly giving way to hints of almond typical of tocai, well mixed with the mineral characteristics conferred by the terroir. Clean, finesse and elegance of perfumes give added value to the wine. On the palate a feeling of freshness, length and persistence of flavor and minerality. The characteristics of this wine make it ideal as an aperitif or throughout the meal. Well suited to raw fish dishes, as well as the delicate mixed fried seafood of the Adriatic lagoon a beautiful and elegant combination is with “Baccalà” the Vicenza-style cod! 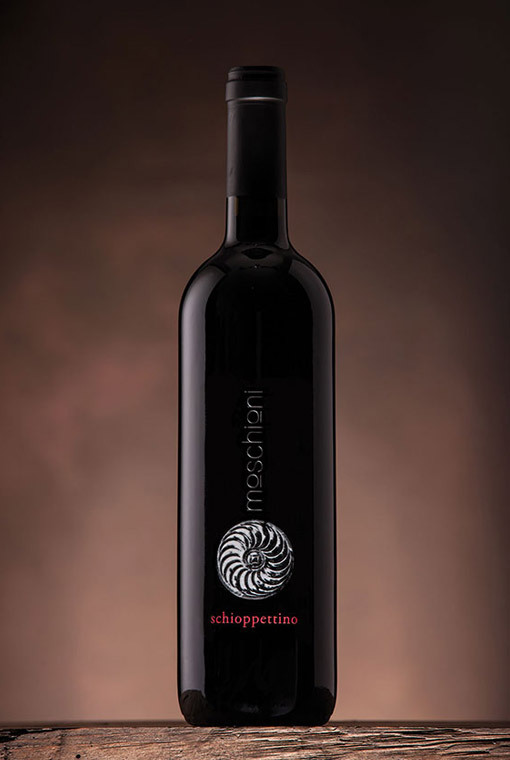 Schioppettino is made from 100% Schioppettino or Ribolla Nera (indigenous) grapes; large bunches of a cylindrical shape with one or two wings, more or less closed, spherical to elliptical berry, blue, black, waxy and thick skin. The vineyards are located in Cividale del Friuli and Prepotto, with a South-East exposure, at an altitude of 140 m above sea level. Its aroma is balanced and very fresh, particularly on the nose where hints of cherry and, forest fruits stand out. In the mouth a burst of full, complex flavors and particularly the fruit freshness that dominates the palate with strong fruity hints.